There is a myopia (nearsightedness) epidemic happening in so many countries all over the world. Patients we see with myopia in the clinic are becoming younger and younger. 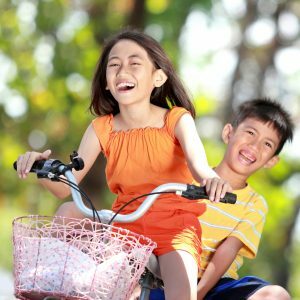 Singapore, Taiwan, Hong Kong have seen the most childhood myopia in their statistics, and Philippines has been following their footsteps. Clinical trials are being done by top scientists in order to find means in controlling and preventing myopia. 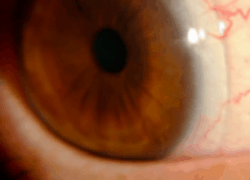 Currently, myopia control can be achieved with specially designed contact lenses and ophthalmic lenses. But what is also important is to control some environmental factors that can cause the progression of myopia. Kids will say that you want to blame your parents for giving you myopia, but studies show that 78.4% in 15- year old children are myopic, compared with only 19.8% in parents… this means environment really plays a big role. Indeed times have changed. Some kids do not even know how to play dolls or cars or robots… And whether you want to admit it or not, some parents are guilty of giving their children Ipads or mobile phones to play games to keep them busy and be quiet. Digital devices are the modern pacifiers. Even in attending reunion parties, you will see relatives with head down tinkering with their mobile phones than having decent conversations with their loved ones. I am not saying that I am not guilty of some of these things by the way. 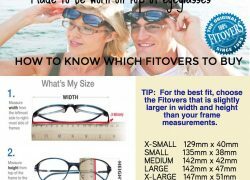 Here are some tips as to how to avoid your glasses or your children’s to get thicker by the coming years. Prevention of nearsightedness is the key. GO OUT & PLAY – Myopia prevalence was significantly higher in the Singaporean residents vs Australian (29.1% vs 3.3%). Children in Australia spent 13.75 hours per week outdoors vs Singaporean children who spent approximately 3.05 hours per week outdoors. Sunlight has its role–Dopamine and Vitamin D are being considered in restraining eye growth. Vision Breaks 20-20-20 – For every 20 minutes of near task, look as far as you can for 20 seconds as far as 20 feet. Appropriate Reading Distance/Distance From Gadgets – Use the “Harmon Distance” when reading, writing, and doing other close work. The distance between the eyes and the task is the distance from the elbow and middle knuckle. Use appropriate lighting at all times. Do not abuse your eyes with digital devices use. 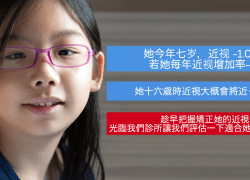 Why is it important to control myopia progression? It is important to control myopia progression as high myopes have greater risks for glaucoma, retinal detachment, and other retinal conditions.